It can be a tough decision deciding who to train with. So you can find out more about us in a special one day training on the Advanced Colour Course at a special rate, with no further obligation. We call them “Quick Start” Training Days in Colour Analysis. 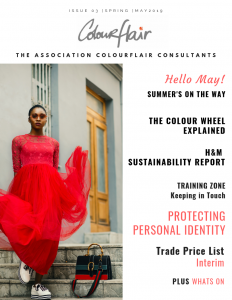 The day includes your own Colourflair Consultation with a personalised Colour Fan and the opportunity to learn more about us, see the course materials, understand what you’ll be learning and the opportunity to ask questions. The Quick Start Days are planned to suit you – so they are ‘one-to-one’ training sessions. This means you can work at your own pace and and have the chance to do some hands on practical work – so you’re ready to get started as soon as your course notes and kit arrive. If you decide, for whatever reason, not to go-ahead with further training after a Quick Start Day, you can simply walk away! But at the very least you will have experienced your own colour analysis using our unique and reliable method and gained a great deal of information about both the image business and yourself. Our courses are designed to be studied in the comfort of your own home and our students achieve excellent results. Extra training days are always available if you feel you need more tuition, but this is very rare. You can practise your new skills, with help and advice of you personal tutor only a phone call or an e-mail away. We have an active Facebook group of Students and Qualified Consultants and New Training Webinars are currently being planned. 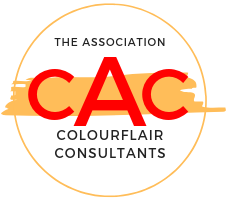 For more information, please contact Helen, Colourflair Trainer on 07725 576472 to book your Quick Start Day. These are held at our Trainig Studio in Kent.